John was born in Battersea on 17 September 1893, the first child of John William Owen and his wife Sarah Ann (née Tester), and was one of six babies baptised at Christ Church, Battersea on 8 October. His mother died when he was only one; the mother he knew was his father’s second wife, Caroline (née Autry). John and Caroline were South Londoners who married in Battersea in 1895. Following this marriage the family moved around a lot before his father found steady employment in Newbury in 1905 when they settled at 6 Marsh Street (better known as Jack Street). John’s first job after schooling, the Boy’s National School, was as an errand boy - a common occupation among the teenage workforce. Many would go on into lives as unskilled labourers, but John was able to start a career in a skilled trade, working as a plumber’s mate for Richard Ravenor (three of whose sons are listed on Newbury War Memorial). War interrupted his career plans. It was not long before he volunteered for a life on the ocean wave, signing up with the Royal Navy on 11 November 1914 for a 12 year term. Aged 19 he was 5ft 3in tall, with a fresh complexion, brown hair and grey eyes. 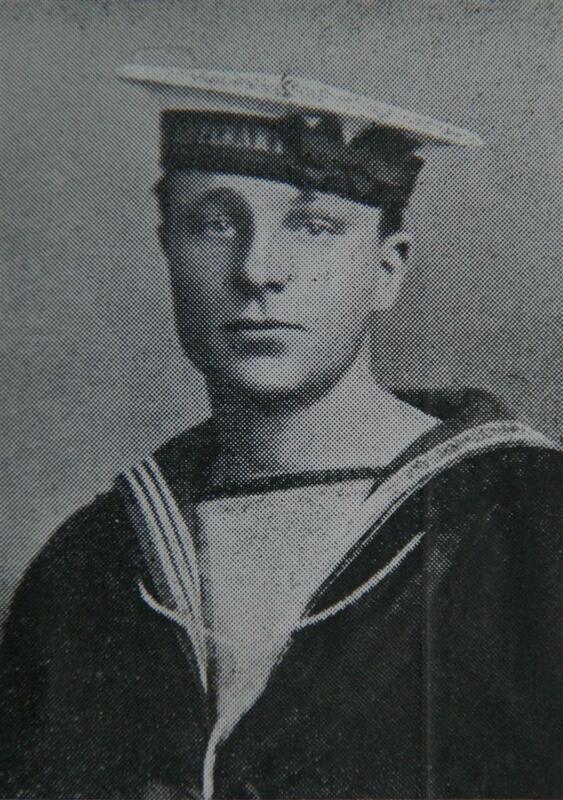 He underwent his basic training in Portsmouth before being posted on 2 June 1915 to HMS Tipperary. HMS Tipperary was a Faulkner class destroyer which was under construction at J S White’s yard in Cowes for the Chilean navy when war broke out. She was swiftly purchased by the Royal Navy and was launched on 3 March 1915. Tipperary served as the second flotilla leader with the 3rd Destroyer Flottilla in the Harwich Force, taking up this role in June 1915, just as John Owen joined the new ship. His role as a Stoker was simple, but back-breaking, shovelling coal both into the boilers but also from bunker to bunker in order to maintain the ship’s trim. In May 1916 the Tipperary was made the leader of the 4th Flotilla, directly supporting the Grand Fleet. As the flotilla leader, Tipperary was the pay station for all sailors in the flotilla – so a posting to Tipperary could mean a sailor was aboard any one of a dozen or more destroyers in the flotilla. John’s service record shows his service with ‘Tipperary’ was aboard HMS Dido (2 June to 31 October 1915 & 15 February 1916 to 15 April 1916), HMS Vivid (1 November 1915 to 14 February 1916) and finally HMS Hecla (16 April to 1 June 1916). At the end of May 1916 the German Fleet put to sea and British ships sailed to intercept. The resultant action, known as the Battle of Jutland, took part in a number of separate engagements, notably a battle-cruiser action in the afternoon of 31 May and the main engagement in the evening of the same day. Following the main engagement the German Fleet turned for home. The 4th Flotilla attacked at approximately 23.20 that night. Destroyers attacked battleships and cruisers using torpedoes, they were quick and agile, hopefully making them less vulnerable to the vastly superior firepower of the bigger ships. However, this was not enough to save the Tipperary as she led the flotilla into action. In the early hours of 1 June 1916 HMS Tipperary was sunk by gunfire from the German dreadnought SMS Westfalen and three other cruisers; she sank with the loss of 185 hands. However it is not clear that John was aboard at this time; his service record shows that he was posted to HMS Hecla, the depot ship for the 4th Destroyer Flotilla, on 16 April 1916 and was ‘discharged dead’ from Hecla on 1 June. As depot ship the aged Hecla (launched in 1878, modernised in 1912) would not have taken part in the action. It is entirely possible that the Tipperary took extra hands from the Hecla thus sealing John’s fate, but he could equally well have served on any of the destroyers that took part ie: Tipperary, Spitfire, Sparrowhawk, Garland , Contest, Broke, Achates, Ambuscade, Ardent, Fortune, Porpoise and Unity. 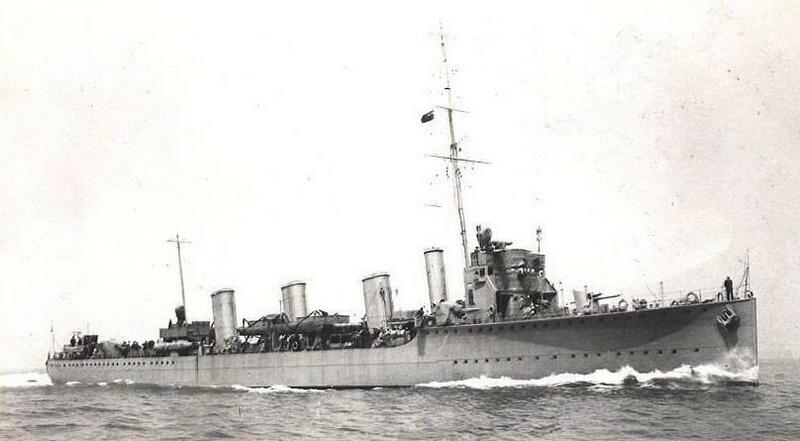 Ardent and Fortune were also sunk and others were badly damaged. His listing among the crew of Tipperary on the Royal Navy War Graves Roll is evidence that he was indeed on the lead ship in this brave, perhaps foolhardy assault. The Flotilla attack was not without success, the flotilla sank the German light cruiser SMS Frauenlob. Another local lad who was lost in the North Sea battle, was First-Class Stoker John Thomas Owen, No K.23455, who was serving on HMS “Tipperary.” He is the second son of Sergt John William Owen and Mrs Caroline Owen, of 6, Marsh-street, Newbury. The mother received the sad intimation yesterday (Wednesday) morning, with a letter from the First Lord of the Admiralty, saying “The King commands me to assure you of the true sympathy of His Majesty and the Queen in your sorrow.” The father is at present on service with the Royal Defence Corps, at Weston-super-Mare. He is an old soldier, having served in the 1st Dragoons, the 5th Dragoons, and the Caribiniers, and took part in the South African War, for which he was awarded medals. The family came to Newbury about twelve years ago, and the deceased lad attended the Boy’s National School, being also a member of St Mary’s CLB Company. For a time he was employed as house-boy by Dr Hickman, and afterwards as plumber’s assistant by Mr Richard Ravenor. He enlisted in the Navy in November, 1914, and was on a torpedo boat. This spring he was transferred to the “Tipperary,” one of the last types. After six month’s service, he was rated as a first-class stoker, and proved himself very capable, giving every promise of a successful career. He was home on leave quite recently, returning on April 5th. Writing on the 13th May, he said “Oh mother, when peace is proclaimed, what a blessing it will be.” He was 22 last September. John has no gravestone to mark his passing, his grave being the wreck of the Tipperary, below the cold waters of the North Sea. 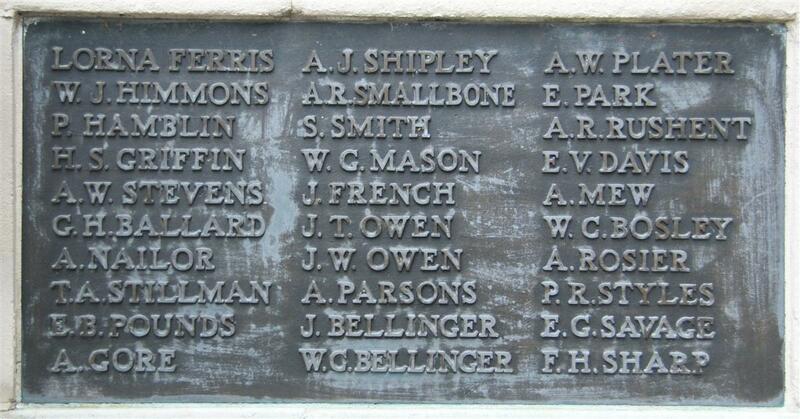 He is remembered on Panel 19 of the Portsmouth Naval Memorial. His father, John William Owen, as mentioned in the newspaper, served with ‘the old and the bold’ in the Royal Defence Corps, guarding prisoners of war. He was invalided out of the Army in 1917 and died of bronchitis in 1919; as the illness was contracted during his wartime service he too is named on local war memorials. Both father and son are remembered on Panel 1 of the Newbury Town War Memorial and both the parish memorial board and roll of honour in St Nicolas’ Church, Newbury.